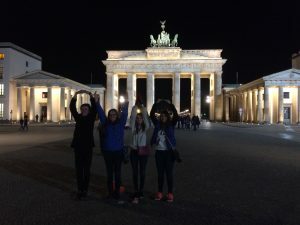 Traveling 4,000 miles from home on an education abroad trip is not something I would have considered when I first started my life as a Buckeye at The Ohio State University at Newark. Now it’s at the top of my recommendation list. 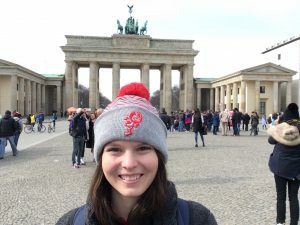 I spent spring break walking through history as I toured Berlin, Germany. 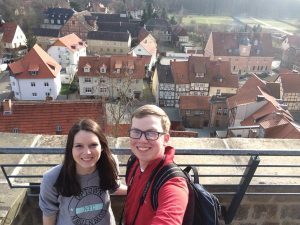 For the in-class component of this education abroad, I’m working with a partner researching German architecture and how the city and surrounded towns were affected by the World Wars. 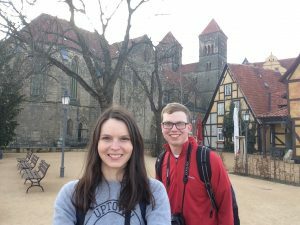 Alex Kirarly and I took day trips to Potsdam and Quedlinburg as part of our research. 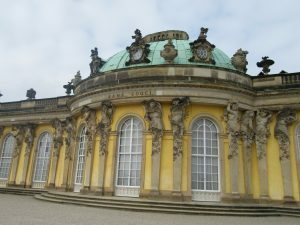 Potsdam Park is home to the Sanssoucci and New Palace (Neues Palais) of Fredrick the Great, King of Prussia from 1740-1786. We toured the inside of both buildings and gaped at the towering ceilings and endless marble halls. 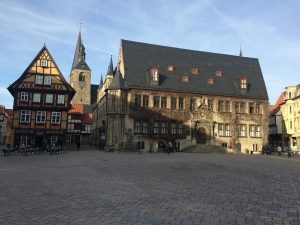 Quedlinburg, a town just north of the Harz mountains, is a three-hour train ride from Berlin. 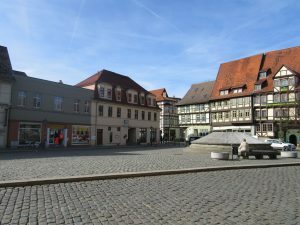 We managed to travel to and explore these towns on our own, with no German language other than basic greetings. 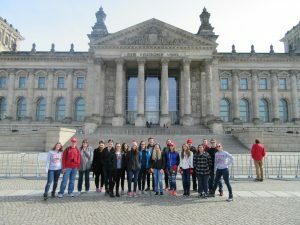 As a class, we took a walking tour of Berlin where we saw Hitler’s Bunker, cathedrals, the Brandenburg Gate, the Memorial to the Murdered Jews of Europe, the TV tower, the Konzerthaus Berlin and Bebelplatz, the site of one of the Nazi book burning ceremonies where students from Humboldt University and others gathered to listen to Propaganda Minister Joseph Goebbels. 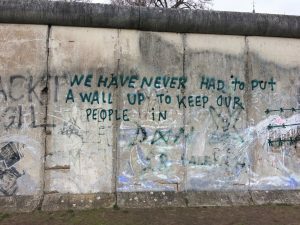 We toured the Reichstag, the seat of the German Parliament as well the Stasi Museum and Berlin-Hohenschönhausen Memorial, the Berliner Untervelten (Berlin Underground), and the Berlin Wall. 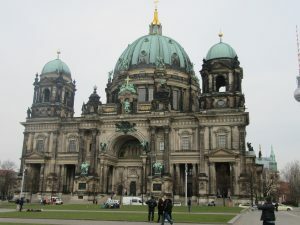 I especially enjoyed the Berlin Underground, Stasi prison, and the Berlin Wall because of our studies before the trip. The underground consisted of air raid bunkers and the conditions people had to survive during bombings. 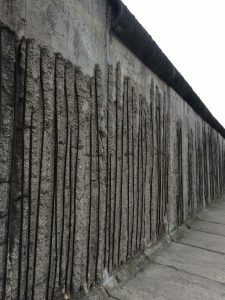 The Berlin-Hohenschönhausen Memorial is a museum that was formerly a prison for the East German Communist Ministry of State Security, or the Stasi. 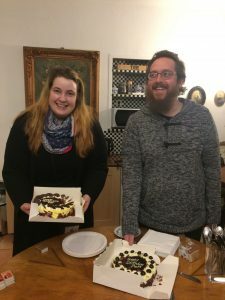 During this tour, we saw firsthand the conditions of prisoners and the excruciating physical and psychological pain they endured during their years in prison. 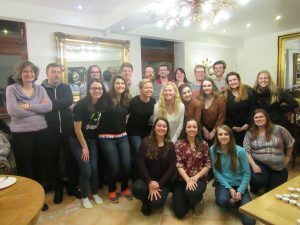 In our free time, some of us went to a cabaret-like performance, similar to those we’d studied in class and visited the Olmpiastadion where Jesse Owens, track star and student at The Ohio State University, made history in 1936 by winning four gold medals while Adolf Hitler proclaimed the superiority of the Aryan race. 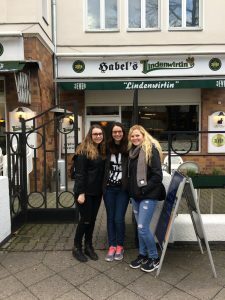 We sampled German chocolate from local shops in the city and snacked on döner kebabs while we walked. 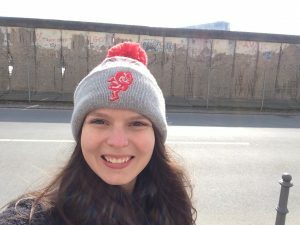 A group of us hiked up Teufelsberg, a man-made hill with rubble and the incomplete Nazi military-technical college (Wehrtechnishe Fakultät) buried underneath. 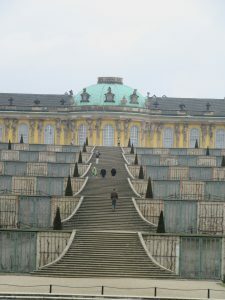 Today, people gather on the top for picnics and the great view of the city below. Most of us went to Sachsenhausen concentration camp in Oranienburg, an especially powerful site. 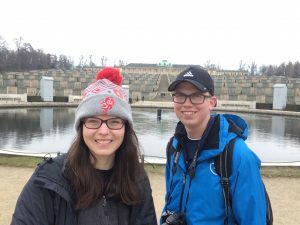 We walked the same paths of former prisoners and stood where thousands were executed or forced to enter a gas chamber. 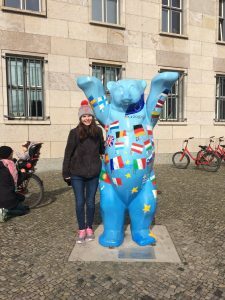 There are some notable differences between the United States and Berlin, Germany. Most obviously is the language barrier, but don’t let this keep you from going. 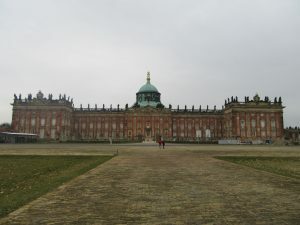 I didn’t know a single word of German before the trip and still managed to maneuver my way to and around two cities outside of Berlin. Many people speak enough English to understand simple questions and you will inevitably learn a little bit while abroad. The transit system is another major difference. 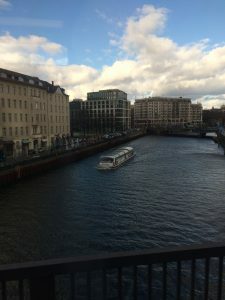 You’re used to getting in your car and driving somewhere, but in Berlin people jump on the tram or walk. The city has a series of trams, both under and above ground, and it can be intimidating at first, but you quickly pick up on the major stops and which trams to get on. Don’t worry about not being able to find anything to eat. 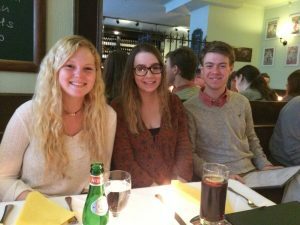 I found out quickly the Germans love Italian food. 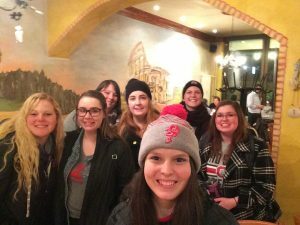 Our first group meal was at an Italian restaurant and we went to at least two other Italian restaurants on our own. There is also vegetarian and vegan food, so if you know how to handle your dietary restrictions you won’t have a problem. The friends I made on this trip are ones I will cherish forever. We conquered a city together. 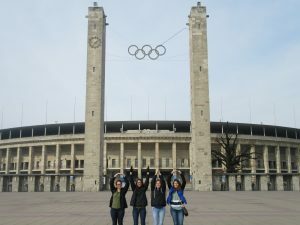 We experienced history, learned about a new culture and had the chance to explore a new place. I am grateful to Stephanie Brown, Ph.D., and Stephen Evans for taking us on this life changing trip. 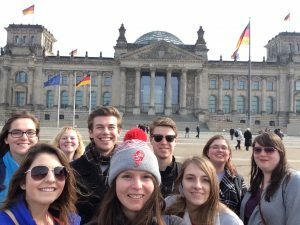 Check out @OhioStateNewark on Instagram for more photos from Berlin.